I am excited to finally be able to share a few new items at our shop. Here is the first item! We've been carrying SIWA collection at our shop nearly two years and their Cushioned Case have always been very popular. They come in three great sizes but their medium size is 1/4" too small to fit iPad... and their large size is more to fit a laptop. So customers always asked me for a case that is the right size for iPad. 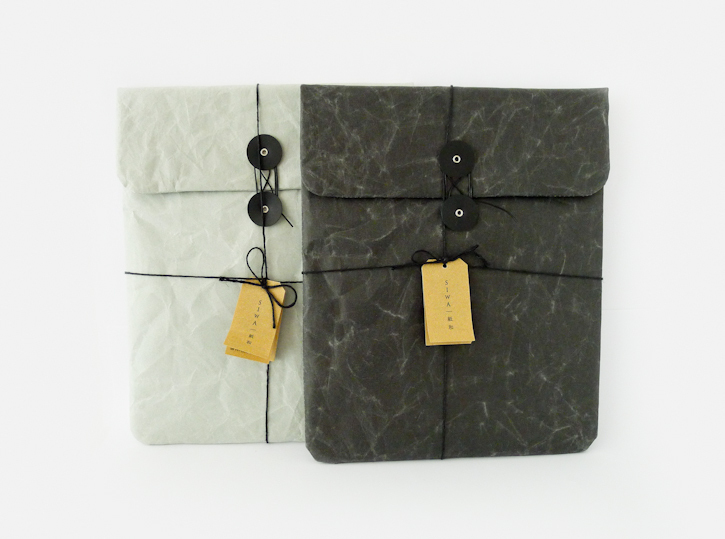 Well... when I found out that SIWA now carries a specially designed cushioned case for iPad, I knew I need to get a few in our inventory! 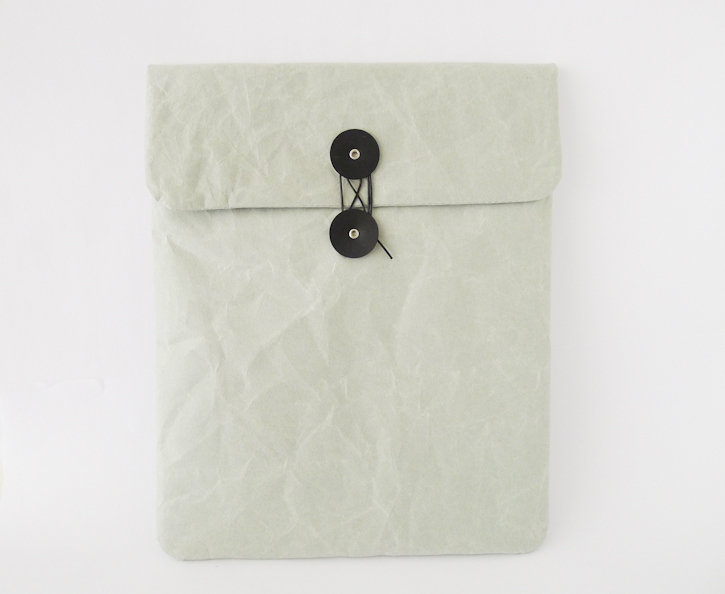 The SIWA Cushioned iPad Case comes with a button and string closure to keep your iPad safe and secure and an inner liner in fabric which keeps the iPad screen away from scratches. I love how analogue this case feels compared to what is actually stored inside. 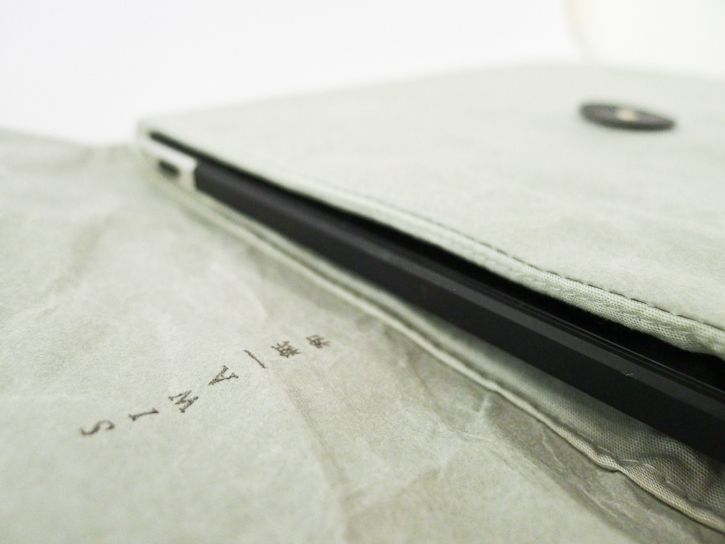 Also another great plus is the lightness of the case. 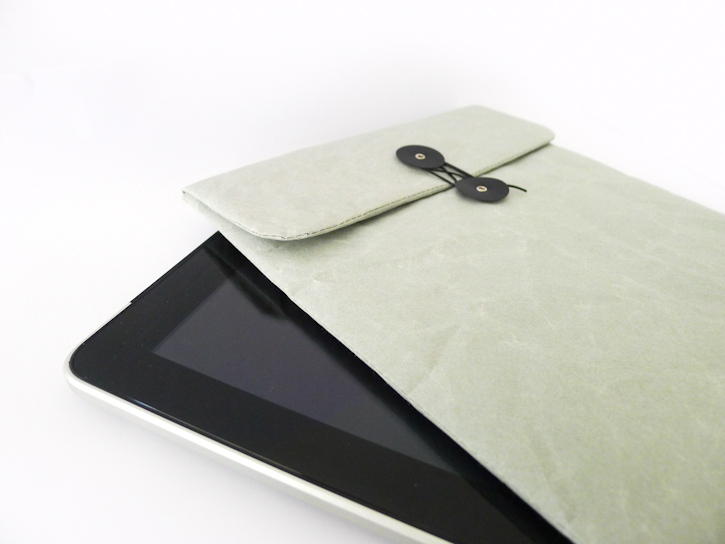 Since it is made out of a specially processed paper, it is durable yet very lightweight!